These past couple of weeks, in the midst of another major transition, I’ve been reflecting a lot on trust. 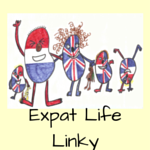 Does living the expat life cause you to trust people more, or less? Does the constant fluctuation of friends and community enable you to reach out a bit more for help with a challenging technical issue, extra support with childcare or the everyday request for a spare egg or cup of flour? In my own experience, expats do tend to take a big, deep breath and go for it when it comes to trusting their neighbors – particularly neighbors that are part of the same professional, religious or cultural community. Simply put, we don’t quite have time to be hesitant. When you’re new somewhere you have to begin building relationships quickly…precisely because you never know whose help you’ll need and when. It also seems to me that there’s more to this extra-developed sense of trust than just the practical. I think there are other deeper, more personal and more happiness-inducing positives than just finding solutions for everyday problems. Stronger Relationships – When you trust others you’re saying to them, “I believe in you. I know you can do this.” This is an exceptional basis for building deeper and longer lasting relationships because it starts from a place of mutual respect and acceptance. Instead of someone having to “earn” your trust, you begin there and for the recipient of your trust this is a great confidence booster. I mean, who doesn’t want to feel that their friends trust them? Getting Burned – Along those same lines, sometimes we do get burned when we trust someone. Occasionally, we reach out only to find no one is listening or available. Or worse, the person we trusted turns out to be untrustworthy. It sounds awful…and it is awful. But it’s not all bad. Here’s why – we learn from the times that don’t work out just as much as we learn from the times that do. We heighten our awareness of when to trust and when to listen to that feeling in our gut that says, “Not so fast.” With time we become more efficient and proficient trusters. A Wider Network of Connections – In this great big world, it never ceases to amaze me how very small it can seem. It’s like living in a tiny village, spread out all over the world. You may not know your neighbor, but your neighbor probably knows your previous neighbor from three countries ago…or has at least heard of her…or once read a blog post she wrote. The point is this – when you trust someone to come into your life, to laugh (and cry) with you, to support you and to become your friend, you foster connections that not only strengthen your relationships, but that strengthen the relationships of your larger community. And that’s good for all of us. So, if you’re finding yourself feeling the urge to reach out – I say go for it. Living the best life for you, where you are right now, means going out on a limb sometimes – trusting others as well as yourself. As many of you know, my youngest son is a Type I Diabetic. I have found the learning curve, while steep, to be incredibly fascinating. If there’s some sort of degree that combines nutrition, chemistry, math and nursing in a six month crash course – I’ve earned it, hands down. 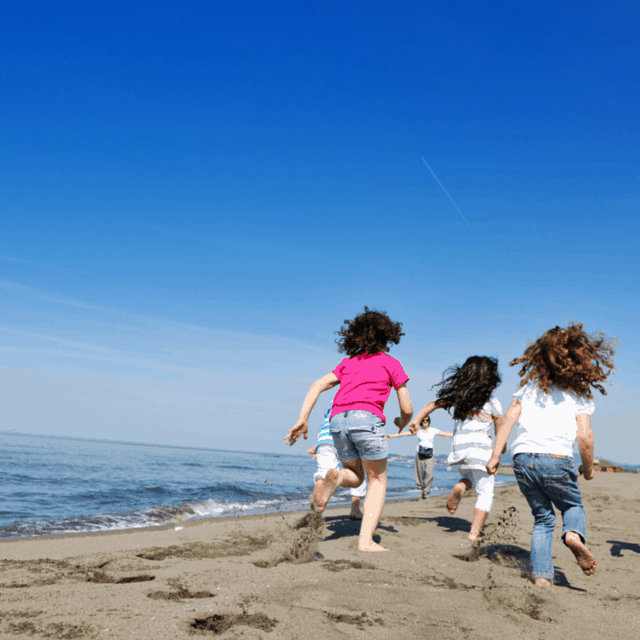 One of the most challenging aspects that any parent of a Type I Diabetic will tell you is that there is just simply so much guesswork going on. Every step of the way you’re calculating carbs and insulin and exercise and stress to come up with a magic number that keeps blood glucose from going too high or too low. Right there in front of me is this 6 year old person whose body actually has the correct answers – the right dosing, the right exercise, the right amount of carbs – for any given situation and yet there is just no way, no tool, that can tell us EXACTLY what we need to know. But, we’re lucky that now we can get closer to finding the best answers. Last week, my son started using a Continuous Glucose Monitor. If you’re curious you can read more about it here. The gist is that he wears a small device on his stomach that automatically calculates his blood glucose every five minutes and then sends the information to a receiver that looks a bit like a cell phone circa 2004. One week in and we’re loving this thing! Suddenly we have all of this important information that helps us make better decisions, faster. However, here’s the catch…having this much information is addicting. When Sam’s sensor fell off yesterday in the pool and then we had trouble putting on a new one, I just let him keep it off for the night. I found myself really feeling the absence of the constant feed of information that, in just one week, I have come to see as so important…more than important – essential for addressing Sam’s diabetes. 2) Have I been able to get by without this information in the past? 3) When I’ve been without this info, what did I do? How did I get things done anyway? 4) What’s the worst thing that could happen? 5) (My favorite) What might be the benefit of not having this information at my fingertips…or breathing down my neck? To be fair, we’re back to the CGM today – safe and sound. We survived last night. Of course we did, because before 6 days ago that’s what we’d been doing for almost 6 months. I’m happy to have it back though and oddly pleased with having had to handle a forced hiatus. Nothing like going without all that info to make you appreciate what it’s like to have it back. I recently finished the novel You Are One of Them by Elliot Holt. There’s a lot in the plot that will sound familiar to expats – travel, intercultural relationships, cross-cultural adjustment. It also talks a lot about diplomats and expats. The book takes place between Washington DC and a largely expat community in Moscow. Here’s the sentiment that runs strong throughout the book – diplomats hide behind walls, diplomats and expats drink too much, diplomats and expats aren’t able to form relationships because, in anticipation of a departure, they never fully commit themselves to those around them. We’ve heard this all before. I’m not going to be the one to say this is never true, but for me, these aren’t the norm of the definition of what it’s like to be a member of a diplomatic or expatriate family – these are the exceptions. Expats are people who connect to and bond with individuals from a very wide array of political and religious beliefs. We do this because we realize that these things have very little to do with friendship. We’re individuals who can strike up conversations with anyone, anywhere and at anytime. We seem to inherently recognize the transience of the world around us so we take advantage of the little bits of time we have. We’re not all extroverted, but we do know how to start and maintain a conversation. In my experience, we’re also pretty good at seeing the value in even small moments. When we experience something that takes us back to another time and place it connects us with friends across the globe. We send a quick message via Facebook or text or email that says, “I saw this and thought of you friend. I miss you.” Our brains are wired with a fascinating map of experience and those experiences don’t exist in a vacuum – they’re connected to our friends and family and they’re enriched by the experience of having shared them with someone who matters. Expats give new meaning to the terms adaptability, flexibility, curiosity and acceptance. We live these values and they become the scaffolding that supports our constant movement. And above all else, I see tremendous amounts of love and commitment and community. So, why do the stereotypes persist? I don’t know. I’m not sure it matters why as much as it matters that, as a community, we know that we’re not glitzy people, sitting behind gold-plated walls, drinking champagne and backstabbing our neighbors. And perhaps in the end that reality is self-perpetuating – the more we live authentically, the more we represent the new diplomat or the new expat community, the more power we have to alter the stereotype. It will be from that place, I feel, that the depth of our experiences and complexity of our choices will reveal not the old image, but the new one. If I look around at my friends I think they’re doing a pretty good job of breaking the stereotypes and I can’t imagine a more wonderful group of people to love. Today I watched my 6 year-old walk across the stage at his Kindergarten graduation. He’s the same kid who almost died four months ago. The same kid who played one day with his friends and then left almost everything he loves, with no prior warning, to get on a small plane to a hospital in a country he’d never been to. The same kid who gets four shots a day and anywhere between six and twelve (or even sometimes more) finger sticks over the course of each and every 24 hours. And, he’s the same kid that is a natural with anything that requires running or jumping or sliding or involves a ball. He’s the kid who can now read, add single digit numbers with no fingers (usually) and tell you what items on your plate contain carbohydrates. He’s the kid with the killer blue eyes, the mischievous, pure-love smile, and the blonder than blond, still baby-fine hair. He’s the one who’s grown over an inch since January. He wears either (and only) soccer cleats or cowboy boots…always. He’s the one who loves hugs and babies and super heroes. He’s nothing short of incredible – when the going’s easy and when the going’s just plain tough. Not to exaggerate here, but really, aren’t we all? I don’t know about you, but I look at my children, my husband, my family and my many friends in all of the corners of the globe and I think – these people are Amazing! While it may seem that sometimes (or lots of times) we arrive at every major milestone rather easily, the truth is – it takes a lot to get here. It takes a lot to get wherever you are. Whether you’re dodging bullets or vomit, climbing mountains or stumbling over Legos – if it feels easy, it’s easy because you’re good at it, you hold your head up and focus on putting one foot in front of the other. If it feels difficult, it’s difficult because you’re human and sometimes life throws us some really nasty stuff. We all fall on both ends of this spectrum – the person who sails through and the person who gets thrown off course. Let’s remember this for ourselves and for the people who surround us. Take some time today to say, “Close call! Good job! Way to hang in there!” or “Wow, you’re getting good at this! Hard work’s paying off! Nicely done!” No judgment, just love, for all the dedication it takes to get here. This week my husband headed back to our home in Madagascar. I guess it’s home. It’s still kind of home. Our stuff is there so it’s not NOT home..and he’s there too…or will be soon. Home. Always so incredibly complicated. Anyway, home’s not what I’m thinking about this week. I’m thinking about goodbyes. The expat life is such a big long series of hellos and goodbyes. More than any other group of relatively stable people, we welcome in the new and usher out the old with an almost unbelievable frequency. I find that this is one of the things that my non-expat friends and family find the most difficult to understand. And, I get their point of view. I grew up in a small Texas town with the same kids for 18 years. The hellos and goodbyes were almost laughably easy…you’d say goodbye for the day only to see your best friend at the one small super market 10 minutes later. For most of my childhood our phone numbers only had four digits. Interested in gaining new ideas for weathering the goodbyes? Here are few strategies I’ve used myself and others employed by some of my favorite and most resilient expat heroes. Schedule virtual dates – by phone, by Skype, SMS – whatever. The important thing here is to treat these appointments like real-time, real-world commitments…because, when you’re an expat, they are! Don’t be shy about friending or following someone you like on social media, but never really got to know. These connections can end up being stronger than you thought, even after you’ve left for a new home. Resist the urge to hold back because you know you’ll have to say goodbye. As they say, you only live once! So much can happen in the blink of an eye. I don’t believe it’s humanly possible to regret full-heartedly seeking out the friendship of someone who interests you. Accept the fact that, despite the initial difficulty of saying goodbye, you might actually grow apart from the person you’re leaving. And then, allow those memories to take up residence in your heart, untainted by the distance that separates you. Decide to believe that your paths will cross again one day. This one’s a choice, but it’s huge and the energy of positive thinking can, at the very least, put a positive twist on separation. Know that whatever brought you together is likely still working somehow in favor of your reunion. My paternal grandmother passed away this past week. I made the trip up to Indiana to her funeral alone. I can’t say I was exactly looking forward to the trip, but I also knew I had to go. There was of course the knowledge that it was the right thing to do, I could easily get away and it would be nice to be with my family during this time. I also couldn’t shake the feeling that I never in a million years imagined I would be here in the US right now. It felt like a door in the universe was opening up and there was no question I would need to walk through it. Death is sad. Of course. But, it’s inevitable and my grandmother had lived a long, full life. 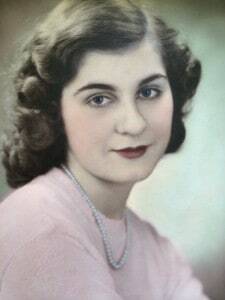 She was blessed with 4 children, 16 grandchildren and over 20 great-grandchildren. How incredibly awesome is that!? She was married to my grandfather for 64 years. They started dating when she was 13. Really, they were one – in the beautiful sense in which soul mates with time just fall into a natural rhythm of being together. I spent much of the time over the weekend reflecting on the awesome power of values, tradition and the give-and-take of family interactions. Each member of the family makes up one piece in the long, long mish-mash of individual characters. But even in that seeming haphazard existence of each person (born into a family, but influenced by so many different experiences and stories that bump and guide each trajectory), bits of what most makes us family come through. As family and friends spoke at my grandmother’s memorial service, the same themes kept floating to the surface – unconditional love and acceptance, hard work, adventure. It was an experience of looking around and realizing, “Hey, I come from somewhere.” My own experiences have shaped my beliefs, but the base work – We’re here for you. We love you. Work hard! Get out there and have some adventures! – were laid and then reinforced a long time ago. All of that was so clear and beautiful this weekend in the process of remembering my grandmother. And, it makes me realize, maybe in remembering her, we’re reminded of what makes up our Selves…on our own or a part of one really, really big family. As the mother of three children, I often find myself in awe of the incredible insight that can come from conversations with them. There are times when I realize that it’s quite possible that the few minutes we’re chatting over getting dinner in the oven or buckling seatbelts might just be one of those moments they’ll remember forever. One particular conversation I had the other day with my 8-year-old, really caused me to reflect on the messages we receive as children (or, frankly, throughout our lives). The messages, positive or negative, that get stuck in our brains and keep coming up over and over again. The voices that tell us what to do and not do…what’s okay and what isn’t. Him: Mom, I don’t know if I want to be an actor or an architect and engineer when I grow up. Me: Well, you can be both. You don’t really have to choose between the two. Him: Ya’ that’s right! You can change your mind about what you want to be as much as you like. Him: So maybe I’ll be an actor and when I get tired of that I’ll become and architect and engineer. Him: I don’t care. It’s what I like. So, there will come a point in his life when he realizes that maybe all this isn’t 100% as simple as he thinks. Life can be a series of trade-offs and sometimes we really do find ourselves having to make difficult decisions about what will work best for our families and ourselves. And, of course, he’s only eight so he might decide next week he wants to be a something else entirely. But, my hope for him is that he looks back on this and remembers a few key words – choice (I’m free to choose and the choice is mine and mine alone…to make and to own), like (I should do what I like, what I enjoy and what makes me happy) and, I hope, love (because, of course, his Mama will always, always love him to matter what road he ends up on). I can’t predict his future, but I can maximize that from these handful of random conversations he gets only the very best take-aways.